The staff at Shutter Tours is happy to announce we have received a certificate of excellence fromTripadvisor.com again this year. 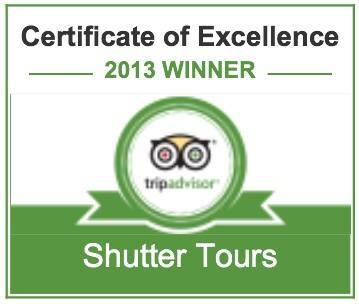 “TripAdvisor is delighted to recognize Shutter Tours with a 2013 Certificate of Excellence. This entry was posted in Travel and tagged certificate of excellence, seattle tours, top rated, Tripadvisor.com. Bookmark the permalink.